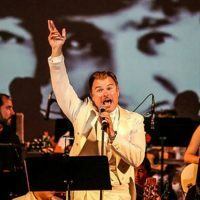 A 40-piece orchestra featuring all-star area players, along with popular local singers/musicians and top students from The Sacramento Preparatory Music Academy (SPMA) will liberate the Beatles’ White Album from wax and perform the album in its entirety. The Beatles’ White Album will feature Sacramento’s favorite master of ceremonies & entertainer/singer, Peter Petty (2018 Sammie Award Winner "Best Live Entertainer"); Kurt Spataro (Skyler’s Pool guitarist); Gabe Nelson (Cake/Bellygunner), and student Justice Nelkin, Casey Lipka (Singer/Bassist-Classical Revolution); Greg Williams and student Angelica Hays (lead guitarists); and student Simon MacBride (drums). Also featuring George Holden’s Liquid Light Show & Live Cinema.